RelieVR is Virtual Reality experience for Chronic Pain. A user-friendly educational Game to positively influence pain and regain control. RelieVR is a health-tech startup built around people. 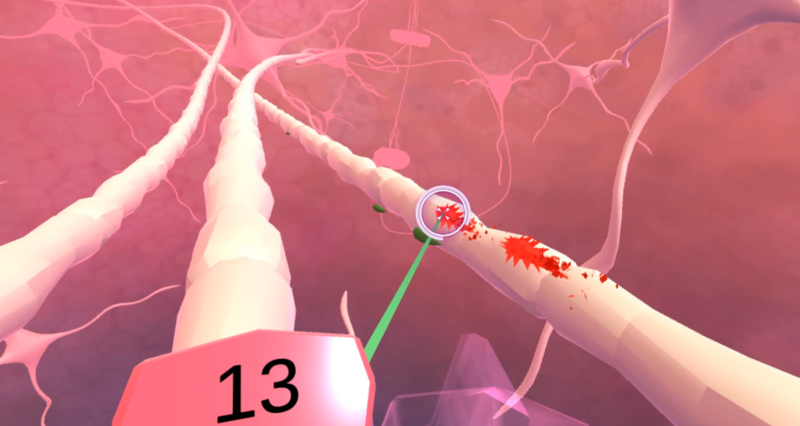 With a team of entrepreneurs, scientists, practicing psychologists, game designers and patients, we built a game experience with the goal increasing the quality of life for patients with chronic pain. Learning to Cope better with Pain and Learning About Pain. Both have been proven Extremely Valuable and are mentioned in International Guidelines for Chronic Pain Care. Unfortunately, access to these Interventions is Limited. With RelieVR, Coping Skills and Knowledge are Developed in an Engaging and Interactive way. RelieVR can be used in Addition to Regular Treatment. It can be used at Home, or Together With Your Practitioner. Promoting Control over Pain in an Interactive and Challenging way. Easy-to-use Software Built for Wireless VR Headsets. RelieVR is een serious game voor chronische pijn. Bij een serious game leer je terwijl je speelt. RelieVR heeft vier verschillende onderdelen die jou beter leren omgaan met je pijn, zodat je ook na het spelen profijt hebt. Tijdens het spelen krijg je uitleg over chronische pijn. Hoe ons pijnsysteem werkt en waarom niet alle pijn goed te verklaren is. Meer weten over pijn is belangrijk om in je dagelijks leven beter te weten hoe je met pijn om kunt gaan! In het eerste spelonderdeel schiet je op prikkels in het zenuwstelsel. Deze oefening is gebaseerd op kennis over hypnotherapie. Die naam is een beetje misleidend, want je wordt niet gehypnotiseerd. Het belangrijkste bij hypnotherapie is dat mensen zich een beeld van hun probleem vormen waarin ze juist wel controle ervaren. Dat beeld hebben wij voor je gemaakt in virtual reality. Een belangrijk (emotioneel) deel van je hersenen gelooft echt dat je pijn weg schiet als je dit in virtual reality doet, waardoor je ook echt meer controle ervaart! Het tweede spelonderdeel is gericht op ontspanning. Door rustig de juiste stofjes te verzamelen en je ademhaling te kalmeren kan je lichaam ontspannen. Ontspanning is erg belangrijk bij chronische pijn, omdat spanning ervoor kan zorgen dat er meer pijnprikkels naar je brein gaan en je brein er heftiger op reageert. Het derde spelonderdeel vindt plaats in het brein. Je focust hier sterk op je pijn, maar wordt vervolgens erg uitgedaagd in het spel. Het afwisselen van de focus op iets wat je als negatief ervaart met belasting van je werkgeheugen kan ervoor zorgen dat de negatieve lading afneemt. Door regelmatig te spelen kun je op die manier je pijn als minder negatief ervaren. Examples of competition are Karuna, Cognifisense, VRpain, AppliedVR, Firsthand, VRhealth: some of them are already on the market. They do not focus on education and control as a game experience, but on taking the existing care into VR. Most of them are not easy accessible for everyone at home or in clinic via Mobile VR and need coaching on the side. They all focus on claims and reimbursement models, where we focus on a game experience that provides the right education and increases wellbeing of patients with chronic pain. RelieVR is only in the market for validation and further development. Therefore is it a prototype and needs further development. We are not selling our prototype to consumers. We are at the phase of validation and product development, working together with 4 external clinics and 50+ patients. The product price is 45 euros per quarter, based on a subscription model distributing a software licence. Fennema&Zantema has developed prototypes of the application and is currently conducting research. The first prototype was tested with 25 patients, divided over 2 pilot studies in which patients went through the game and were given a home exercise. Patients each went through the game in an 1-on-1 session with a therapist, a game developer and a designer and were asked through a personal interview and a follow up survey to provide feedback on the impact and usefulness of the intervention. All patients indicated that they experienced less pain during the pilot study, on average 36% less. With insights gained from the pilot studies, V2 of RelieVR was developed. Eight patients with different types of chronic pain tested this version, and all of them experienced less pain while playing. Most of them indicated that they felt less pain and more control over the pain even after taking off the VR headset, and most of them had a better understanding of the source of the pain. 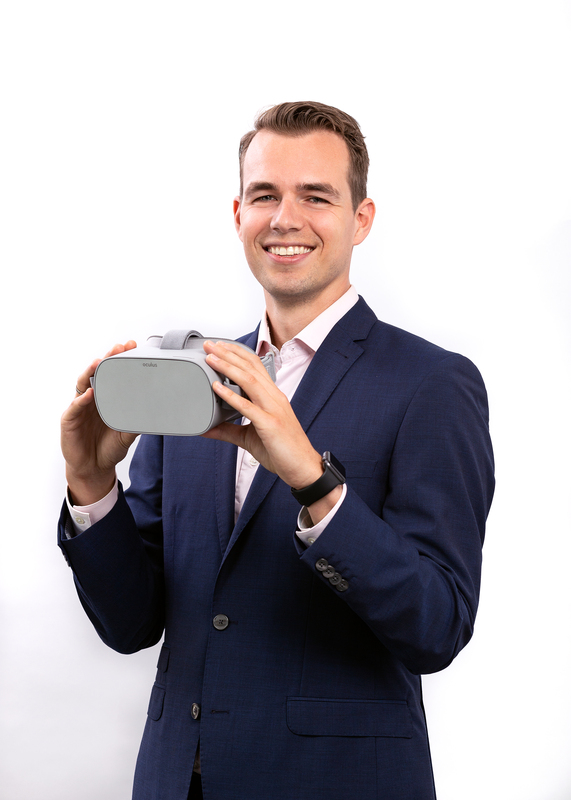 At the moment, researchers from University of Groningen are investigating whether RelieVR reduces pain intensity and increases sense of pain control. The company conducted 22 interviews and an 8-week group observation and pilot tests with existing VR applications in a group of 12 patients. These tests showed that patients needed more interventions that would immediately relieve them, transfer knowledge at their own pace and enable them more easily to experience control of their pain and thus find a way to better manage their pain in their daily lives. Those elements are important for a good learning curve at an unconscious and conscious level. Treatment providers need tools that could strengthen their education and help patients at home. In a series of trials it was tested whether patients would be open to VR experiences. Due to the very positive reactions to VR experiences by patients with chronic pain symptoms, those trials were extended to draw up the theory and patients’ expectations of a VR application. Ultimately, with a combination of unique knowledge and the patient as a starting point, a formula was developed in which the patient learns at a conscious and unconscious level. This knowledge enabled us to develop an action-based VR application, RelieVR, on the portable Oculus Go. It combines pain education and psychological exercises that help patients better manage their pain and consequently improve their wellbeing. The application had promising results. All patients achieved a 100% score on pain knowledge, and 60% of them experienced long-lasting pain relief. Total of 22. At this moment we are testing with a patient group up to 1000. We are currently gathering data and analyzing the result of this study. There are 22 variables we collect data on in our software. This data is used for study purposes and will be used for public health outcomes in the future. In the pilot of 22 patients we included adult people that were diagnosed with chronic pain. For our bigger study we collect data from adults with chronic pain complaints. Like mentioned before you see that our results are positive, but we need bigger patient groups and cost based pilots to gather more evidence. Our biggest challenge for research is our approach. We focus on education, well being, improvement of quality in life and disability. Therefore, the traditional pain scale (numerous) is not the main focus of our study. In the first phase, the RelieVR business edition is delivered to a small number of pain treating institutions. The main goal is to practically test RelieVR in external clinics and home situations in order to substantiate its effectiveness and user-friendliness. Because the focus is on the product validation, we decided to enter into an intensive relationship with a maximum of eight pain treatment institutions, which results in better quality assurance. We are at the phase of validation and product development, working together with 8 external clinics and 867+ patients. The product price is 45 euros per quarter, based on a subscription model distributing a software licence. In this phase B2B get offered a 1 year licence and a headset package deal. B2B sales are above the line marketing (traditional). B2C marketing will be done by launching customers as well as influencer marketing of well known people that suffer from chronic pain. Our marketing will mainly be online ads and commercials for the B2C to get to the patient communities. Further development of our in game exercises, gamification and data assets is our biggest area of focus in the further development of RelieVR. As mentioned before, our product is scalable and our goal is to have it as widely available as possible.